Celebrating it’s 9th year, The SAMYO Choir was formed when we came across the amazingly talented vocalists we find around the country! Since then, vocalists are welcome at auditions and receive special coaching, their own compositions, and arranged parts within SAMYO’s pieces. The first tutor of The SAMYO Choir was the remarkable Bombay Jayashri, teaching at Music India in 2010 and 2011. Throughout the history of Samyo & Tarang, both ensembles have had excellent singers amongst its members, In 2013, with the composition Rain, by Gaurav Mazumdar, we began to write music especially for our vocal ensembles in Samyo, and in Tarang, solo and duet singers took the lead in selected compositions. In 2014, the Samyo & Tarang Choir was born, with a special inaugural composition “Charishnu” by Pt Madhup Mudgal. This piece of music, originally performed by the Gandharva Mahavidyalaya Choir in New Delhi, was the first time audiences would hear our singers’ own choral music. Now, singers of both Samyo & Tarang come together separately as an ensemble with their own set of new compositions, performed within concerts, and in the future, in stand alone performances too. Led by our team of conductors, and benefiting from their own repertoire of compositions, it allows audiences to hear Indian vocal music in a distinctive form, with some really innovative and uplifting pieces written by our composers. The National Choir is open to singers of all backgrounds, trained in Indian music, or with an interest in, or experience of Indian music. 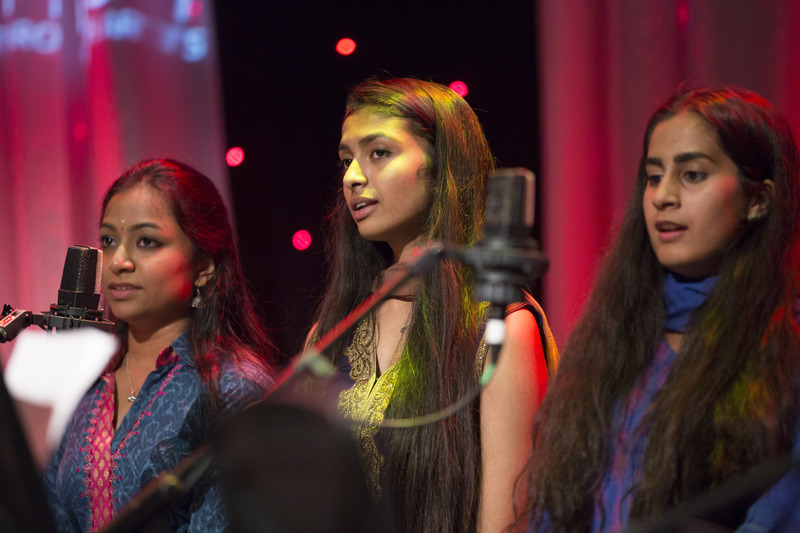 Samyo & Tarang members of any age have direct membership to the Choir, but it is also open to any young person aged 14 – 25. The Choir is designed to give excellent opportunities in performance, training and development. The annual programme of SABRANG runs parallel to that of SAMYO – The National Orchestra for Indian Music. To join Sabrang, simply fill out the application form. 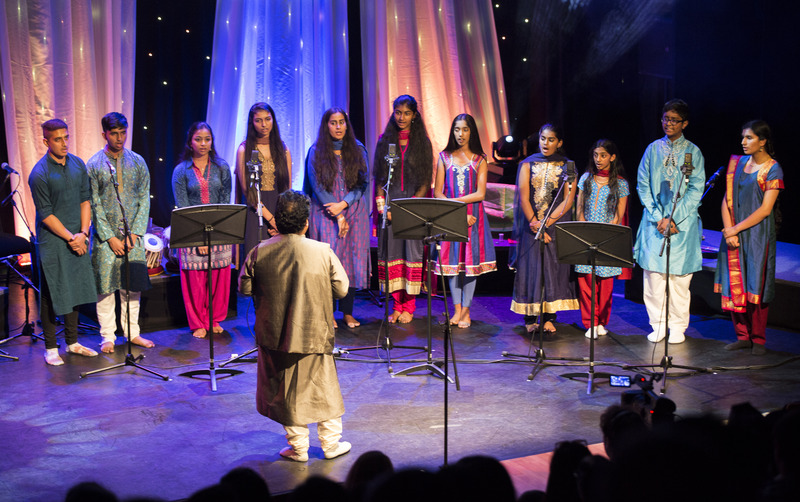 Sabrang was founded by national charity Milapfest, and is one of eight NYMOs (National Youth Music Organisations) supported by Arts Council England. Milapfest raises funds to support the costs of membership, and though it costs us over £1,500 per member (not including administration, promotion and organisation costs), we ensure the cost of membership remains low. Membership fees for Sabrang are £500 for 19-20.